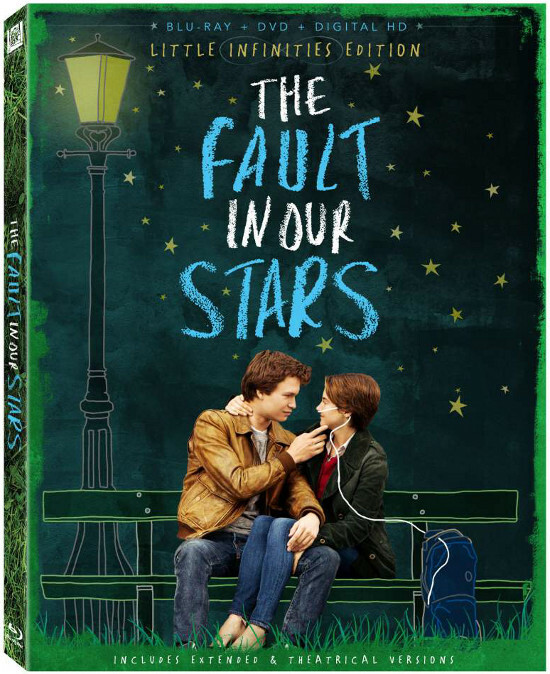 Disclosure: I received The Fault in Our Stars movie on Blu-Ray for review purposes. I am going to be completely honest: I haven’t cried this much in a movie in years. Yes, The Fault in Our Stars movie is based on the wildly popular book about teenagers carrying an infinite burden with them, the Big C — cancer — a burden that, heartbreakingly, is killing them. It’s also a love story, a very profound one, rife with the quotable quotes about love that made the book famous. And if these literary quotes can be perceived as a flaw in the movie (because who really talks like that? ), it is also what makes it extremely memorable, and can (and probably will!) bring you to tears. RELATED: Check out our 10 best The Fault in Our Stars movie quotes and moments! It is the story of Hazel (Shailene Woodley) and Gus (Ansel Elgort), who falls head over heels for her. She considers herself to be unlovable and has trouble appreciating the beauty in herself. Yet he sees her for who she really is and helps her discover her inner beauty. And she falls in love with him, eventually, for his charming uniqueness. In the end, The Fault in Our Stars is a story about acceptance: loving yourself for who you are, and being grateful for the simple blessings in your life. It’s a beautiful movie. I recommend this movie for age 14 and up. It can be for a family movie night with older teens, or it can make a very sweet movie for a romantic date night in–as long as you remember the tissue boxes! I was reading this book and is amazing but prefer to go to cinema as well. I never though that finish in this way and this review is awsome from this site. SO click somewhere above and read this book!